Jeroen Rovers Ph.D, M.D. Scientific Advisor Dr. Jeroen Rovers established Alest Biosciences Consulting to provide advice and support to pharmaceutical and biotech companies and academic institutes focusing on development and marketing of human medicines and medical devices. 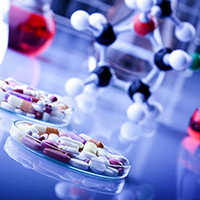 In the past 10 years, Dr. Rovers has worked in different academic institutes and companies on the development and commercial exploitation of human medicines, both on a national/regional level as well as a global level. Dr. Rovers trained as a pharmaceutical physician at the European Center of Pharmaceutical Medicine in Basel. He is a medical doctor and obtained a Ph.D. in Medicine from Leiden University (Netherlands). He has published several articles on photodynamic therapy as a treatment modality for colorectal liver metastases. Before joining the industry, he worked for several years in Surgery in hospitals in The Netherlands.